When I first started this blog I posted a short article on how to keep your first-level Magic-User alive. I meant to continue that as a series, but never did for some reason. Well, better late than never, here is an article on how to keep your fighter alive. First, let’s talk protection. In OD&D and clones, plate armor is relatively cheap, on the order of 50gp or so. Make sure you buy it during character creation, even at the expense of cheaper weaponry, like spears (see below). In later editions and some clones it can be quite pricey, so take advantage of it if it’s cheap in your chosen system. After you’ve been on a few adventures and have saved up some gold, plate armor makes a great gift for your hireling meatshields. My own gaming group does this to great effect – nothing says you care and boosts loyalty like the gift of decent armor. Next, weapons, the fighter’s bread and butter. I suggest you equip Mogo the Mighty with a spear. Why the spear? First, you can use it one- or two-handed, and in many OSR systems it does more damage when used two-handed (and if not, try to convince your GM to house-rule it to do more damage). It can be thrown. It can be used as a trap-finder and general prodding device. It can attack from the second rank. It can even be set against a charge to do double damage. Best of all, it is one of the cheapest weapons to buy, leaving you more money for that plate armor (see above). Tactics can be even more important for fighters than with Magic-users, just because fighters are expected to, well, fight. But you may as well be smart about it. 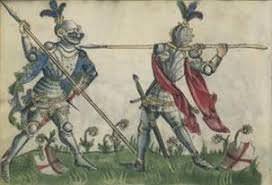 A line of fighters with plate armor, shields and spears is an impressive sight and keeps the bad guys away from the soft and chewy Magic-Users. Most humanoids will need a 16 or 17 to hit AC 2, and while they are dealing with that, the second rank can attack with longer reach weapons like, well, spears (you may be sensing a pattern here). But before you even consider melee, you should be trying to make best use of your missile weapons. Bows in OD&D and S&W White Box fire twice per round and are only usable by fighters (assuming the standard three classes). Even in other systems, you’d be crazy not to use a weapon with such a long range. The heavy crossbow seems like a bad choice since it can only be fired once every 2-3 rounds, but it has a very long range, and can be pre-loaded, fired and dropped before melee ensues. You just have to make sure you are in a position to use it. So send that thief or MU with an invisibility spell up ahead to scout things out, then if you are going to attack, try to work in a round or two of missile fire, either by drawing the bad guys out to you from a higher or more secure vantage point, or by sneaking to within missile weapon range. And if you can’t afford a bow because you spent all your coin on plate armor, buy a sling and fill your pockets with stones. Lastly, despite your fighter wanting to, well, fight, don’t just think that every encounter should end in melee. Take advantage of the affects of charisma or reaction rolls and try to talk your way into a favorable outcome, meaning getting treasure or someone to help you without a fight. Many dungeon denizens will entertain help in fighting their sworn enemy, whoever that may be (ask them). Excellent. Do you have any specific procedures for adjudicating the downsides to using uncommon weapons like a spear? Everything does d6 dmg so the correct way to game is to simply choose the spear, regardless. Does it just flavor your rulings? Thanks! 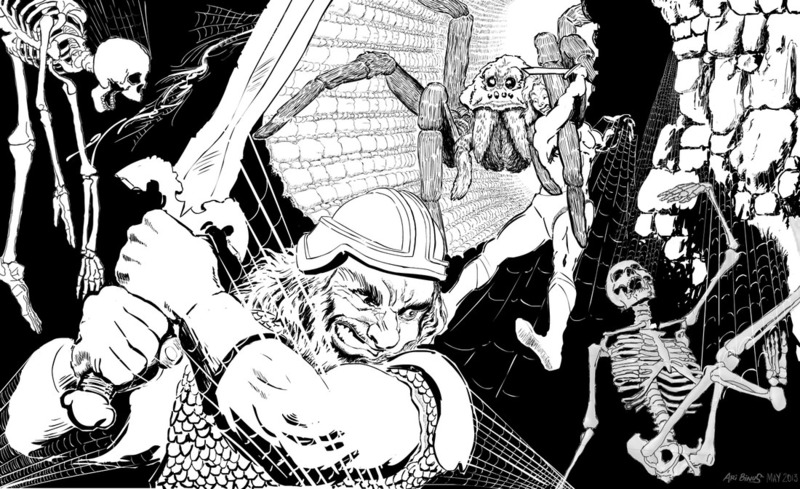 It is true that if you’re a low-level fighter in OD&D or clones like Delving Deeper, BFRPG or B/X there is no reason _not_ to choose a spear (in all of those games the spear does double-damage when set against a charge, in BFRPG in particular the spear does more damage when used two-handed), unless you are in a larger party and there are a few other fighters. 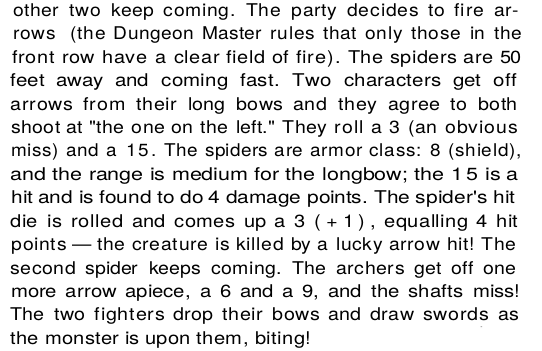 In that case it makes sense to pool the party’s gold and outfit a couple of fighters with bows. I don’t really see a downside to using spears, even in cramped quarters they can still be used as a thrusting weapon, I just see it as a good use of player skill, and part of the game. Once you get to 3rd level or so, you’ll probably start to get access to magic swords (hopefully) and will ditch the spear. Great post. The spear is one of the most underrated and overlooked weapons in the game, and ODnD rules make it pretty clear that missile attacks are tactically superior to melee. I personally wrote off the heavy crossbow, but you make a good case for it.